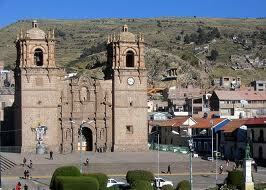 1/2 DAY CITY TOUR PUNO: Around the main square (Plaza de Armas) of Puno is located the CATHEDRAL built in 1757 by Simon de Asto. In Peru the name of Plaza de Armas originates from the colonial era that is each time the Spanish (authorities or viceroys) arrived to Puno the soldiers used to wait for them around the main square with their guns and then stay there the whole day. 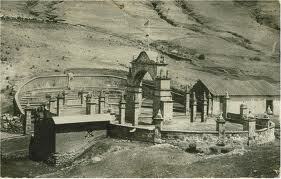 The story says that in the past there was flooding and it covered all the city of Puno, where is now located the cathedral that place was covered with water of the Lake and the main port near the foot of Huajsapata hill, also there was drought where is now the Uros floating islands that place was dry. DREYER MUSEUM: The museum Dreyer, ex house of a German citizen Carlos Dreyer, great painter landscape, made of that property for a place to live, and where artists of that time met together. Today it has inside Inca mummies discovered in Sillustani in 1971 by Arturo Ruiz as well as the king of Sillustani (similar to the king of Sipan), with 501 gold pieces and 779 pieces of silver. 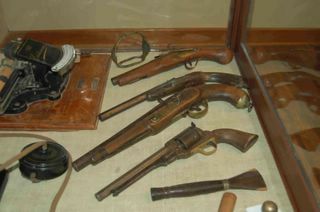 Besides there are Spanish costumes as helmets, swords, silver coins, old books, birth certificates, and more. VIEW POINTS OF INCA & PUMA: The viewpoint of Inca has a spectacular location, because it is on Huajsapata hill (behind the cathedral) from where you have a wonderful view of the entire city of Puno and the highest navigable lake in the world the “Titicaca”. In the western part of town is located the viewpoint of the Condor, built on metal, from where you will get the best view of the city of Puno. Finally in the north side lies the viewpoint of the Puma. YAVARI SHIP (museum): The Yavarí steamship was built in England in 1862 and Coya steamship in 1892, both ships were transported in pieces from England to Arica Chile (Arica then belonged to Peru) then from Arica to Tacna by train and finally from Tacna to Lake Titicaca (Puno) by mules, crossing the Andes over 4500 masl and more than 2766 pieces. Initially it was thought that it would take 06 months the transport of all Tacna to Puno, but that actually took us 06 years. Today the Yavarí is considered Museum ship and the Coya is tourist restaurant. Thanks to these steamboats the Lake Titicaca earned the name “The highest navigable lake in the world, which sailed between Peru and Bolivia. The Yavarí possess one of the oldest engines of its kind in the world still in operation, thanks to this it is written in the book Guinness World Record. WHAT IS INCLUDED: The tour INCLUDES entrances fees to Dreyer Museum US$5, donations for Yavari Steam Ship US$15, private transportation, private guide for ½ Day. Besides pre-trip information + organization and all local taxes. There are no hidden extras in our prices. In the price now includes all money transfer fees. Our land transportation vehicles have comfortable seats + oxygen & first aid kit + panoramic windows + reclining seats, 2 types of insurances as Certificate of Statutory Accident Insurance Transit SOAT, besides has vehicle Insurance Policy to all risks in record exclusive for foreign. NOT INCLUDED: Additional services and tips. 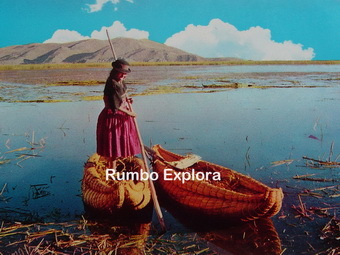 You can see that in Rumbo Explora we have developed for you tailor-made itineraries with the best price as competitive as possible, providing an excellent service and paying our guides 10% above the legal wage agreed with association of the tour guides – Puno. 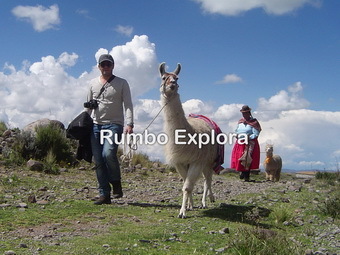 Our staff are some of the best paid in Puno & Lake Titicaca, which allows us to attract only the Best Tour Guides, Motor Boats and Land Transportation with national permit, to none other local company, that can only provide a cheaper price by providing a far inferior service and saving on staff costs, ¿How? Hiring tour guides in training without experience and not paying them, besides avoiding taxes to government. 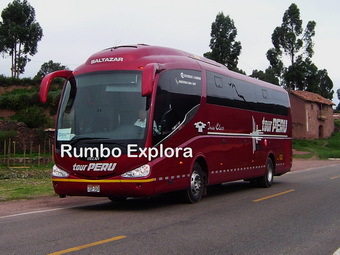 Big Travel companies from Europe, North America, Australia and others work with the Peruvian Tour Operators located in Lima-Peru, who work as middlemen receiving from them good prices from the Tours & Packages, and paying to us 40 to 50% minor the normal price, besides 2 to 3 months delayed, being this the reason that Rumbo Explora have decided to offer tours & packages directly to travelers. Share the post "Tour Puno & Look Outs – 1/2 Day"